Details: The modern-looking Mercedes-Benz Atego rescue tenders delivered to the ERU fleet in summer 2007 have rather old-fashioned rear ends. The side shutters extend the full length of the bodywork, hence the rear access is only to the centre portion. They also look a bit square-cut. 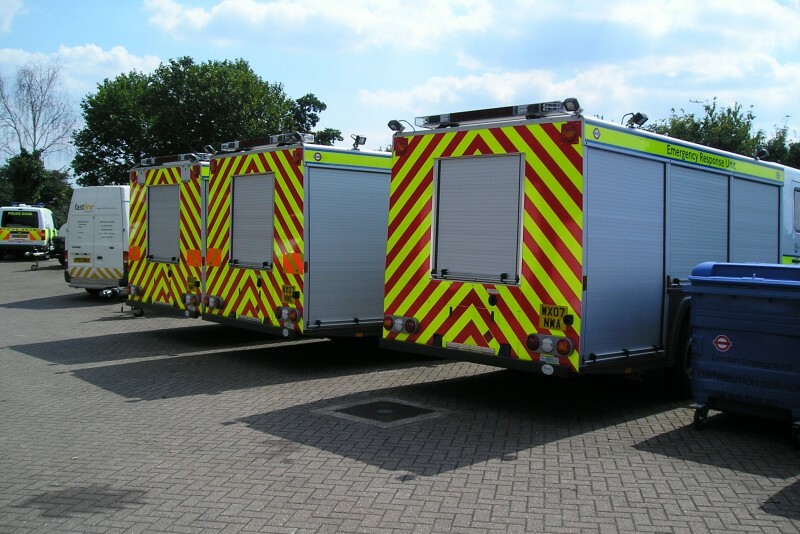 Note that the nearest vehicle does not have the additional reflective chevron panels seen on the other two. This picture was taken on 1st August 2007.